We Pansare Nursery started in the years 1976, are one of the foremost wholesalers, suppliers, and exporters an extensive array of Fruits and Forest Plants. In our offered products range, we have Fruits Plants, Avenue Plants and Palm Plants. Our vendors use optimum quality ingredients and latest tools in order to have excellent quality plants. Apart from this, these products are offered to the clients at very reasonable rates. In our company, we have hired a team of dedicated and talented personnel. Our vendors make sure that the plants are quality approved at the time of delivery. Further, we deliver our plants to the market after the quality check. We make sure that plants are timely delivered with an aim to fulfill their demands in a stipulated time frame. Furthermore, these products are export to various Gulf Countries such as Qatar, Dubai, Kuwait, Saudi Arabia, Oman, and Japan. 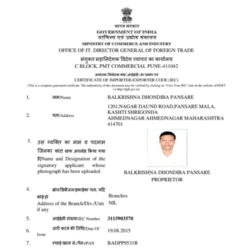 Under the direction of our mentor, Mr. Balasaheb Pansare, we are famous in this market. He has in-depth knowledge of farming and agro products and helped us inconsistent delivery with quality within the stipulated time frame to our clients. We are associated with trusted and famous vendors of the industry, who provide us high-quality products range. The offered products are prepared using latest techniques and high-quality ingredients. 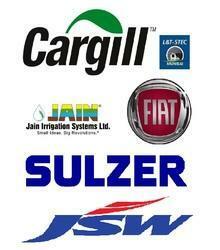 All our products are obtained from trusted vendors of the industry. The selection process for our vendor is made by our management on the basis of their economic position, control measures, market credibility, and manufacturing techniques. Gulf Countries such as Qatar, Dubai, Kuwait, Saudi Arabia, Oman etc. Since our inception, we strive to cater the preferences of the customers by providing them with optimum quality products. With a motive to provide maximum customer approval and satisfaction, we assure that the premium quality of fruits and forest plants is never compromised at our end.